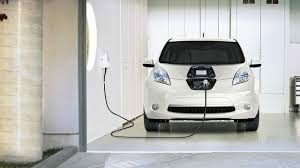 Electric vehicle charging stations (EVCSs) have created friction among building residents that desire them and condo corporations that lack a viable solution. Each condo community has a limited number of spaces for shared charging stations. Allowing each unit to purchase a personal EVCS for their space may require a major electrical upgrade to support concurrent charging of multiple vehicles with other demands for electricity within the building. 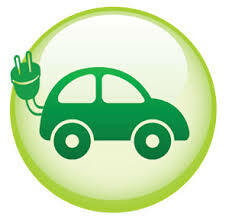 Compromising availability of electricity for heating, cooling, lights and other demands for the convenience of electric vehicle charging would be unreasonable and unfair to a majority of building residents. New regulations to facilitate installation of electric vehicle charging stations in condo buildings were released by the province on March 26, 2018, effective May 1, 2018. Regulations address two situations under which an EVCS is to be considered. Section 97 of the Condo Act dictates how to make changes to common elements or services provided to owners. Generally this requires a notice to owners or possibly a vote. Condo corporations can install an EVCS on 60-day notice to owners when a) cost of installation is not greater than 10 percent of annual budgeted common expenses for the current fiscal year; and b) in the opinion of the board owners would not regard installation of the EVCS as causing material reduction or elimination of the use or enjoyment of units or common elements of the corporation. Notice to owners must describe the installation, provide estimated cost of installation and state how it will be funded or paid. There must be a statement confirming that, in the opinion of the board, owners would not view the proposed installation as causing a material reduction or elimination of owners’ use or enjoyment of their unit or common elements. When conditions for no vote by owners are not met, owners can requisition a meeting to vote on a proposed EVCS installation. The corporation must give notice to owners of its intention to install an EVCS. This notice must advise owners of their right to requisition a meeting of owners to vote on the issue. For a meeting to take place it must be requisitioned within 60 days of receiving notice by at least 15 percent of units. Notice to owners must describe the installation, provide estimated cost of installation and state how it will be funded or paid. Notice must contain a copy of section 46 of the Condo Act. The corporation can proceed with installation of the EVCS if a) owners of at least 15 percent of units have not requisitioned a meeting within 60 days of the notice; b) a meeting is requisitioned and no quorum has been met at the first attempt to hold the meeting; or c) quorum has been met at the requisitioned meeting and owners did not vote against the proposed installation. Section 98 of the Condo Act dictates how owners may make changes to common elements. This requires approval of the board of directors and other requirements. One such requirement is that a “Section 98 Agreement” must be registered on the unit’s title. In some situations notice may have to be given to other owners and approval obtained prior to implementation. A proposed modification for installation of an EVCS would be required by owners requesting permission to install an EVCS. Application must be in writing to the corporation. Application must be signed and include costs, required drawings, and specifications or information relating to the proposed installation. Corporation is required to cooperate and provide the owner with information, permission and/or authorization required to complete the application. This may require, for example, electrical grid plans or drawings. Corporation has 60 days to respond to the request. Deadline can only be extended if both parties agree in writing. Corporation can reject the request if, in accordance with an opinion or report of a qualified professional, the installation would be in contravention of the Condo Act or the Electrical Safety Code. Request can also be rejected if it would adversely affect the structural integrity of the building, pose a health and safety risk to someone, or risk damage to property. If request is rejected, a copy of the report on which the decision is based must be provided. The corporation can propose an alternate installation, such as a different location or implementation, so long as there are no unreasonable additional costs. Both parties have 90 days to execute a “Section 98 Agreement” specifying ownership, who can use the EVCS, and responsibility for installation, maintenance and repair of the EVCS. Expectations are the owner will be responsible for all costs relating to the EVCS. The agreement is to be registered on the title of the owner’s unit and does not take effect until registered. Should an owner fail to comply with the agreement the corporation can add any costs, charges, interest and expenses to common expenses payable by the owner. Any disagreement between owner and the corporation relating to installation of the EVCS must be submitted for mediation and arbitration within six months or deemed to have been abandoned.